"Do A Liz Thing Day" is just two days away. It's a day that I'm hoping others will go outside of their normal routine and show kindness to someone else. We are doing this on behalf of Liz. She was 25 when she unexpectedly passed away from a seizure that stopped her heart. I didn't know her so it might seem strange that I'm blogging about her. However, last year I was a recipient of an RAK done in her honor and it filled me with warm fuzzies. It seriously made my day and I've been on board with supporting this cause ever since. And, not only will I be out doing some goodness, I really hope my readers will too. You can do one act of kindness or 20, no limits there, I just want to help promote this day as a day to do good and share happiness. So, let's talk RAK's - Random Acts of Kindess are indeed, spur of the moment and Random. Like when someone doesn't have enough money to pay their grocery bill and then someone else steps in to cover the cost. That is a random act of kindness because it wasn't planned or expected. The moment just presented itself and that's what you do, you act on it. See a need, Fill a need - that's a RAK. However, there is another type of RAK - The Planned RAK! It's exactly what it sounds like. You have something in mind that you want to do and you plan to do it. The random parts come into play because you don't know who the recipient will be. Not knowing who will be the recipient makes it kinda fun. If you plan to join in, I've compiled a quick list of projects and tutorials of things you can make and hand out on Saturday. How fun would it be to pick a project, call some friends or gather your kids and tomorrow night, Friday, have a craft night. 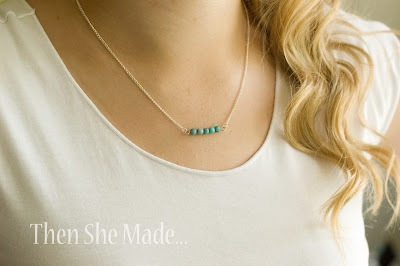 Bar Necklace: I don't know too many people who don't love jewelry. 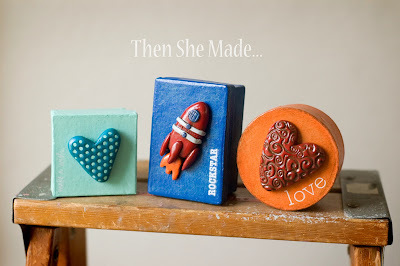 This tutorial is pretty simple, requires few supplies and you can make a lot of them. 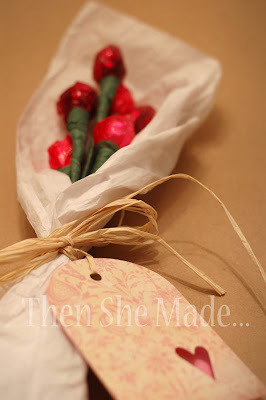 After making the necklace, attach it to a sweet note and give away. Warm Fuzzies: Silly little things really, but how fun to write out a nice compliment and then leave it on someone's car or in their shopping cart or.... anywhere really. You could even make them with generic statements like "you are amazing!" or "you matter!" and then leave them at a playground or park bench. 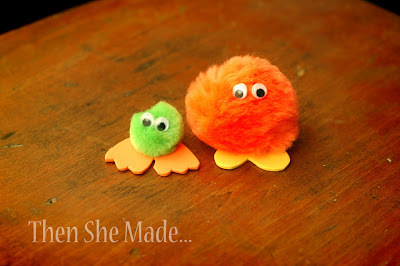 This one is a good thing to get the kiddos to help make. 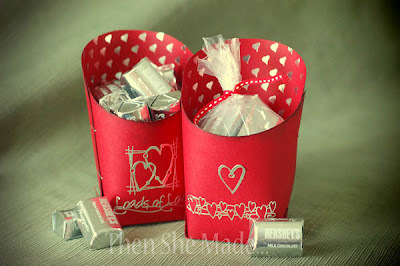 Fill Up a Fry box: This post was for a Valentine craft however, you could take the idea, change up the theme and use it as a RAK. 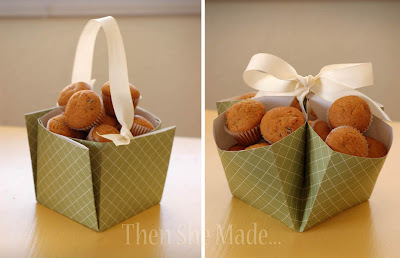 Paper Baskets: Need something to put your RAK in, how about making a quick paper basket? It only takes one 12x12 piece of paper and some ribbon. If you are looking for RAK ideas, here's a list to get the ideas flowing. And, remember check out the "Do A Liz Thing" facebook page. It would be cool to blow it up on Saturday with all our RAK's. - If you get good service tell a manager that you appreciate the service you received. Amy, You are so inspirational and you have motivated me to do something Saturday--even though it's going to be a crazy day! Thank you for being you! RAC rocks! !